Sgt. Harlass F. Routon, son of Mr. M. C. Routon, Newcastle, husband of Luella Anderson. 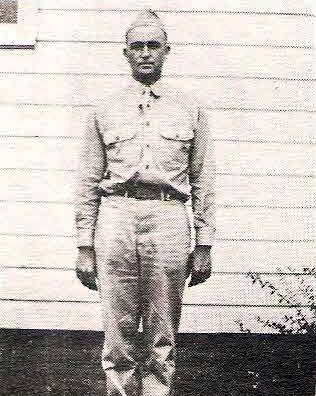 Entered Army, 1941, trained at Camp Bowie, Tex. and Camp Shelby, Miss. Served in EAME. Awarde Purple Heart, GCM, EAME, 6 Baattle Stars and AD. Wounded in Italy, 1944. Discharged in 1945.